The New York Mets, currently situated towards the bottom of the National League, should be setting their focus on competing in 2019. With that in mind, it gives them an opportunity to see what their prospects can do at the Major League level in a low stress environment. With multiple players potentially ready for the big-leagues, such as recent call-ups Jeff McNeil, Luis Guillorme and Phillip Evans, as well as Dom Smith and Peter Alonso at Triple-A Las Vegas, the Mets are given a perfect opportunity to see what they can do now. Unfortunately, the team inexplicably keeps around Jose Reyes, a 35-year-old former All-Star, instead of giving needed at bats to these young players. Looking forward, it’s imperative that the Mets, not only stop playing Jose Reyes but designate him for assignment entirely for the sake of the team and the sanity of the fans. Reyes, from the time he was called up, a day short of his 20th birthday, in 2003 until his departure as a free agent after the 2011 season, was one of the best players on the New York Mets and a fan favorite. During that time, Reyes was a top offensive threat and an above average defender and, along Carlos Beltran and David Wright, was able to lead them in 2006 to their first division title and NCLS since 1988. But this is no longer the Jose Reyes that sparked “Jose-Jose-Jose” chants at Shea Stadium and subsequently Citi Field. Mets fans must understand and accept that this is not the same player or person they remember. This Jose Reyes is an accused domestic abuser who was suspended 51 games in 2016 and a below-replacement player. It is understandable that some New York Mets fans have fond memories of Reyes and are not seeing how bad he really been this season. From 2006 to 2011, Jose Reyes totaled 28.5 BWARP, which placed him 13th in Major League Baseball over that period, despite an injury shortened season in 2009. In his final season with the Mets in 2011, before taking his talents to South Beach (the Miami Marlins), he had 6.4 BWARP, placing him eighth in the majors and led the National League in batting average. 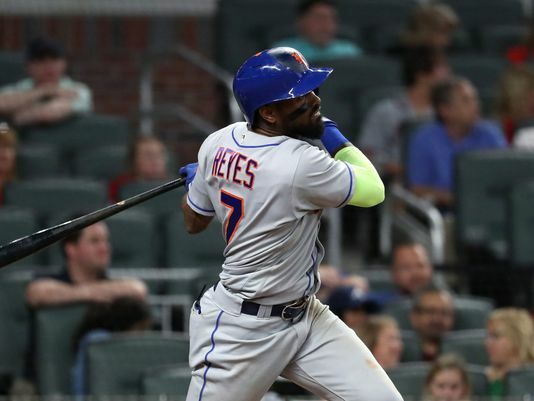 Not only was Jose Reyes one of the best players on the team by new age statistics, but he led the Mets in many counting stats, making his presence felt on the team even more. During his tenure, he led the team in hits four times and finished in the top three six times. 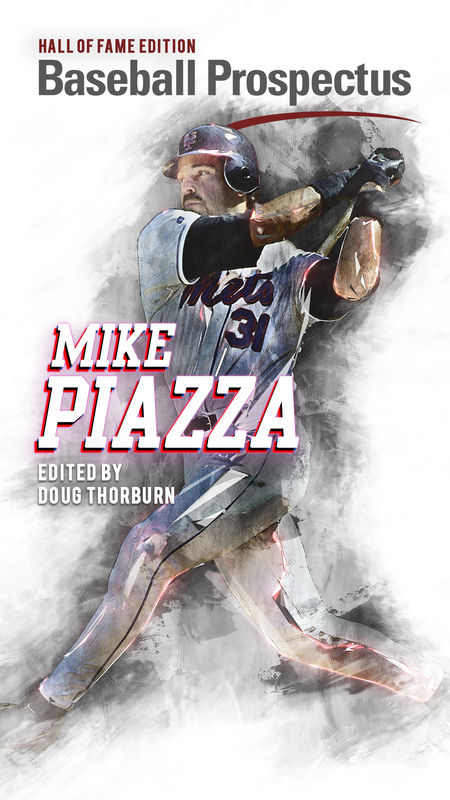 Once he reached base, he was a constant threat to steal bases, setting the team single-season stolen base record in 2007 with 78, the most in a single season of any major leaguer since 1988, and holds the record for most as a member of the New York Mets. And whenever Reyes was on base, he would often score runs, leading the team three times. In the eyes of some of the remaining faithful New York Mets fans, Reyes is still this amazing player and offensive threat. Reyes, who left the Mets in 2011, followed it up with only a single season with Miami and a BWARP of 4.1 before being sent to the Toronto Blue Jays in the Marlins fire sale along with Mark Buehrle and Heath Bell. 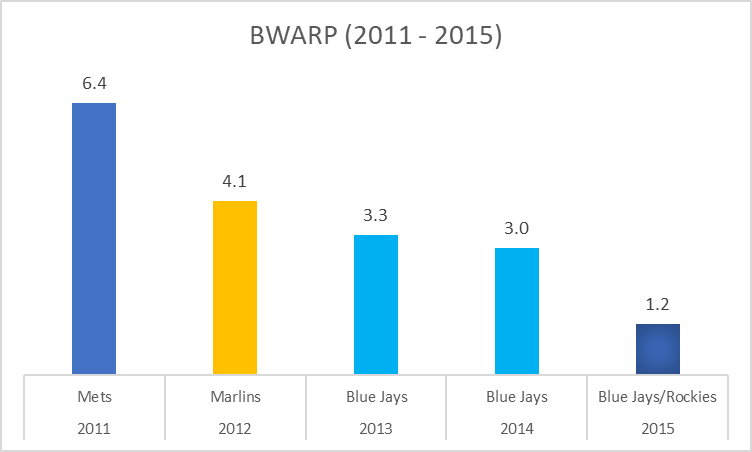 After two years of posting a 3.3 and 3.0 BWARPs, Reyes was subsequently dealt to the Colorado Rockies at the trade deadline of 2015 in exchange for Troy Tulowitzki. Unfortunately, Reyes’ decline continued and he posted only a combined 1.2 BWARP that year and an OBP in hitter friendly Colorado of only .291. Not only was Reyes’s on-field performance on the downfall, his off-the-field performance in 2015 was even worse. While on vacation in Hawaii in October 2015, Reyes’s wife, Katherine Ramirez, called the police after the shortstop allegedly grabbed her by the throat and threw her into a glass door; she was taken to the emergency room with injuries to her side, neck and wrist. Unfortunately, Ramirez failed to cooperate with police, meaning no charges were brought against Reyes. The only punishment Reyes received was a 51-game suspension under Major League Baseball’s Domestic Violence Policy, keeping him off the field until May 31, 2016. However, as Reyes was already on leave from the Rockies, his punishment was only him being suspended 17 games, donating a measly $100,000 to a charitable cause (less than 0.1% of the contract he signed with the Marlins) and a scripted apology. After a brief stint in Triple-A with the Rockies, he was designated for assignment and subsequently released. However, the New York Mets are not the Colorado Rockies. They are the team under the ownership of Jeff Wilpon, who fired a pregnant Leigh Castergine, the Senior Vice President of Ticket Sales, after she reported him to human resources for making disparaging comments about her having a child out of wedlock. With Reyes released from the Rockies, Colorado was responsible for the rest of his salary from the contract he signed with the Miami Marlins, meaning the former Met was available for the Major League minimum. The Mets were happy to give Reyes a minor league contract. On June 26, 2016. he was back with the team in the minors and in the majors by July 5. Of course, the Mets took full advantage of this situation, using Reyes as much as possible despite his performance on and off the field. The New York Mets, pretending it was still the late 2000s and operating as a small-to-medium market-sized team, decided to bring back Reyes for 2017 at his league minimum salary after posting a 1.6 BWARP in 2016. Despite his dismal performance, he managed to lead the team in games played and plate appearances. With top prospects, particularly Amed Rosario, ready to play every day and Asdrubal Cabrera and Todd Frazier on the team, it seemed like Jose Reyes’ second tenure with the New York Mets would hopefully come to an end. But in typical New York Mets fashion, it did not. In early 2018, the New York Mets re-signed Jose Reyes to a $2 million contract as a utility player and to serve as a mentor for Amed Rosario. This logic is flawed in both senses. The New York Mets already had Asdrubal Cabrera and Wilmer Flores as utility infielders, assuming Rosario started at shortstop, and could have had multiple other options on the 40-man roster. Additionally, saying that Jose Reyes should be a mentor for Amed Rosario is laughable. I do not believe Jose Reyes is someone a team would want to mentor their top prospects. Not only does Jose Reyes have the domestic violence issue, he was sued in 2015 for child support for a child he had while cheating on his wife, who he only told after she found out in 2015 and was sued for stopping pay of child support. Maybe it’s just me, but I don’t think Jose Reyes is proper mentor material. But it wasn’t even just that Reyes was brought back for 2018; he has been inexplicably starting for the team too, having started 32 of the 45 games he has appeared in so far. Between his personal issues and poor performance, Reyes’ time with the New York Mets must come to an end. Reyes, no longer a serviceable Major League Baseball player by any measure, has been worth -0.8 BWARP so far this season, meaning he has been worse than replacement level and as one of the worse players in the league. 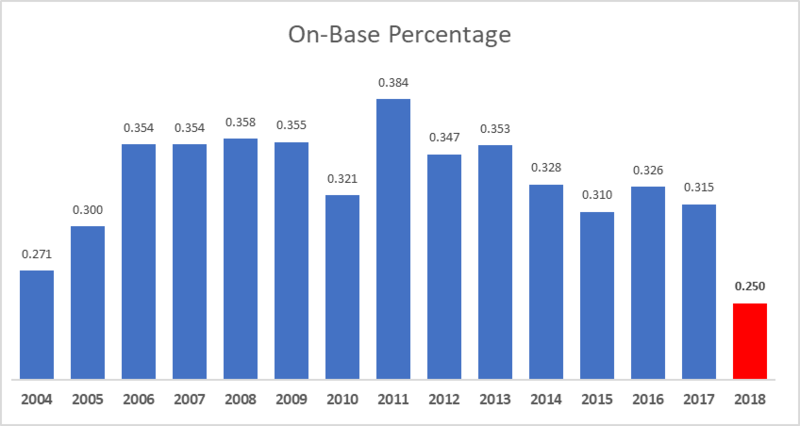 His poor performance offensively is evident through his lack of ability to get on base: this season, his on-base percentage is a career worst .250 and tied for seventh-worst for all players with more than 150 plate appearances this season. What exactly is the reasoning behind Jose Reyes’s inability to get on base? It’s not that he doesn’t walk or strikes out too much. 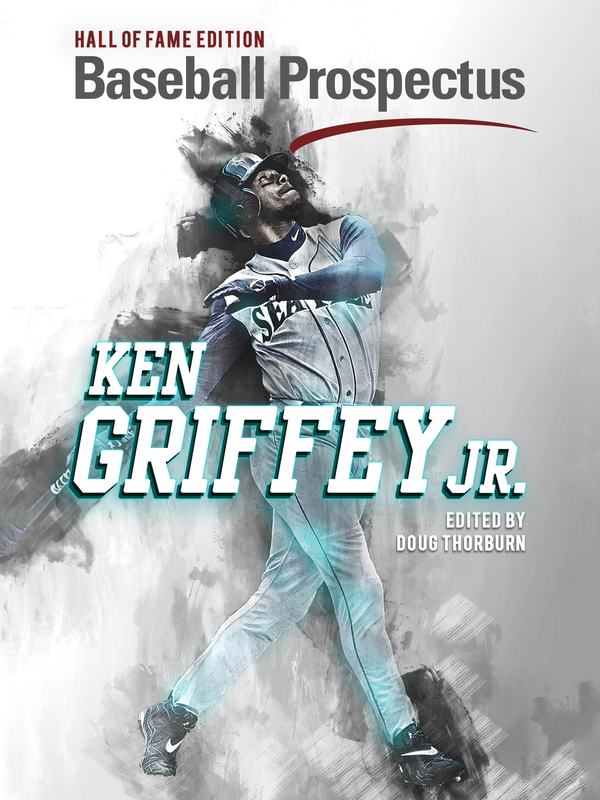 While his strikeout rate at 14.9% is the second highest of his career, it’s still below the league average of 22.2% and even his walk rate of 8.9% is slightly above the league average 8.6%. 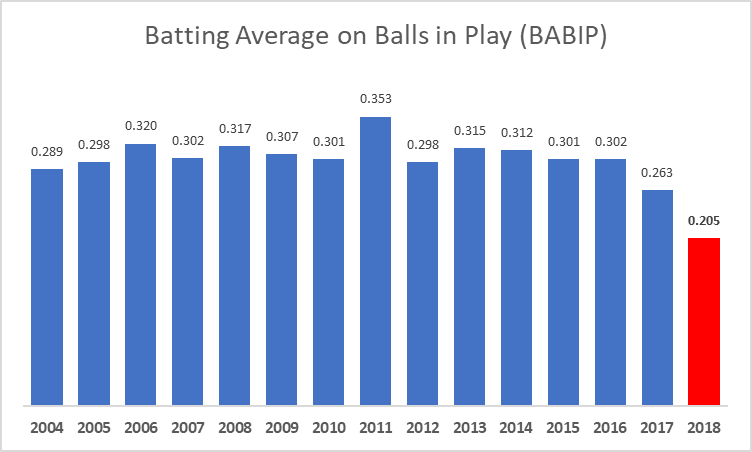 Currently his BABIP is .205, which is the second lowest in the league and the lowest of his career, meaning there is the potential that he is having some bad luck. However, it’s more apparent that Reyes is just making bad contact. His percentage of balls hit softly is a career high for him of 30.5, based on data from Baseball Info Solutions. This is worst in Major League Baseball out of all hitters with 150 plate appearances, where the next highest is 29.7%, almost a full percentage point lower. The average for Major League Baseball is 18.2%. This means that Jose Reyes is, in fact, just a bad player. Even if there is some bad luck, if he can no longer make quality contact and get on base, then his offense is not worth keeping him around on the team. 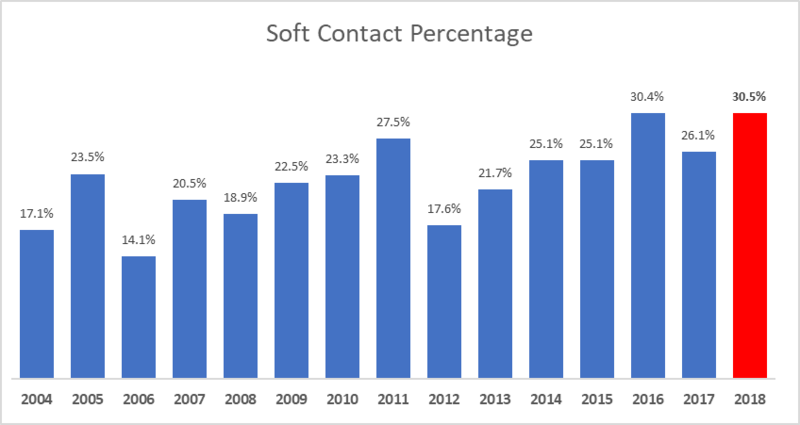 Along with the lack of quality contact is also the impact of less power, which puts Reyes at his career low slugging percentage of 0.235, again the worst in Major League Baseball this season. The combination of soft contact and lack of power makes Reyes anything but an offensive threat to opposing teams. Between the on-field and off-field evidence, it’s inexplicable why Jose Reyes is still on the major league roster, and especially inexplicably why he’s getting playing time. The only plausible reason that I can see to keep him around is the front office’s frugality. For some reason, they gave him a $2 million contract for 2018 and he still has salary owed to him for the rest of the season as little as it may be. The Mets have proven that are reluctant to spend money, let eat money; the team failed to pay down any contracts in their recent trades of Asdrubal Cabrera and Jeurys Familia and have steadfastly refused to reinvest money saved with the insurance on David Wright’s contract. There is also the fact that I am sure the Mets still have unused Jose Reyes merchandise that they need to use while he is a member of the Mets. As recently as last year, they were still giving out Jose Reyes and David Wright duo souvenir soda cups, even though Wright didn’t play a single game. Whatever the reason would be, for the sake of the future of the New York Mets and the sanity of their fans, it is time to cut the cord, once and for all. If the Yankees can force Alex Rodriguez to retire after a Hall of Fame career, I am sure the Mets can cut a deal to at least get Reyes off the field and off fans’ televisions. a) the idea that a player makes other players “lose focus and urgency” is nonsense both in general, and in this case. b) You are giving Reyes far too much credit. You could replace him with a 4 WAR player and the mets would still be under water. c) Reyes is but a symptom. The problem is the incompetence of the wilpons. I think this should just be obvious to anyone paying attention this point. It’s the same story over and over again, remember when we had Eric Campbell batting cleanup for a while? The mets refuse to fix their problems and then wonder why they have bad results and why no butts are in the seats.